This isn’t a crazy scenario. 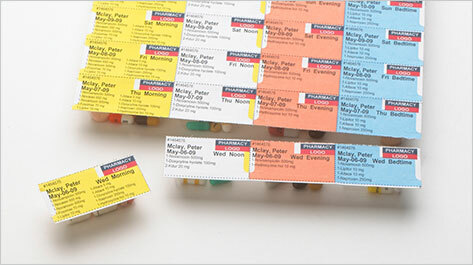 According to a Mayo Clinic study, 20% of Americans are on 5 prescriptions or more! This is why our pharmacy has invested in the Dispill Multi-Dose packaging system. It is a huge benefit for our patients and caretakers and a peace of mind for our doctors. 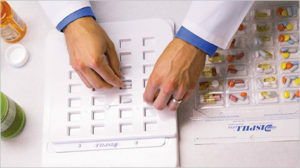 For many, it is stressful to organize their medications because of the time and risk. Even for the most alert and organized people, there is still the danger of mixing up dosages and medication frequency. The CDC estimates that non-adherence causes 30-50% of chronic disease treatment failures and 125,000 deaths per year in this country. ack contains 28 individual blisters that contain your prescribed medication for a specific time (morning, afternoon, evening, bedtime) and date. 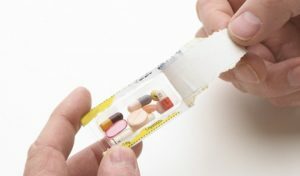 For doctors and patients looking to improve medication adherence, request (free) Dispill packaging at our pharmacy today. Have the comfort and safety of knowing you took the right medication at the right time. You’ve got better things to do than worrying about your medication.